Replace the top sheet with the blanket, fold and hang if at the heck of the chair. Remove the pillows. Loosen the bed linen all around. Fold the top sheet neatly over the patient. Roll firmly both sides of the bottom sheet toward the patient. Lift the patient to one side of the mattress (follow procedure for lifting), which is drawn from the side partly off the springs. Place pillows on the vacated half of the springs and move the patient on to these pillows. Turn the mattress from the head towards the foot. Lift back the patient on the mattress; remove the pillows and place the mattress in position. Put the patient on the center. Fold the top sheet neatly over the patient with the feet inside the fold. Remove the pillows; loosen the bed linen all around. Roll the sides of the draw and rubber sheet firmly up to the patient’s sides. Then bring the sides of the bottom sheet neatly over the patient. Lift the patient to one side of the old mattress, which is partly drawn from the springs to the sides. Remove old mattress and put the new one in position. Replace to sheet with blanket. Move patient to the side of the bed. Transfer patient to stretcher. Strip the bed. Turn the mattress from head to foot part or change with a new mattress. Nurse should report any changes that indicate that death is near. Inform family, friends, minister and physician. Keep (use her judgment) those disturb the patient away from him and those who comfort him nearby. She should try to make herself inconspicuous and to sense the patient’s desire to be left alone with his family, a minister or his physician. Know certain observances in religion that bring comfort to persons of each particular faith and try to call the minister or the priest and prepare patient for it. The patient may desire to make a will. This will be legal if signed by the patient and witnessed by 2 persons. The nurse may be asked to serve in this capacity. Provide privacy for the patient and his distressed family. 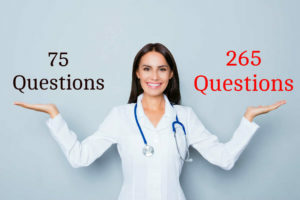 When patients ask the nurse questions about their condition, avoid giving an untruthful answer, you can generally satisfy the patient by asking him what his doctor has told him. This is a time, above all others, when the wishes of the patient himself and those of his family should be considered of paramount importance and no treatment should be Forced upon a dying man. This entry was posted in Manual and tagged how to change mattress with the patient in bed. Bookmark the permalink.